Windows Azure HDInsight Service – Microsoft’s cloud-based distribution of Hadoop – is now available as a standard preview service through the Windows Azure Portal. 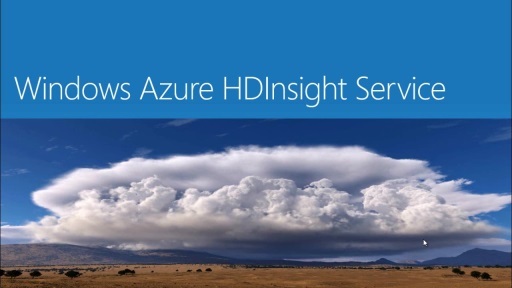 “Windows Azure HDInsight Service builds on top of the Hortonworks Data Platform to ensure full compatibility with Apache Hadoop while providing customers with the low cost and elasticity of cloud computing,” the Azure team explains. A Hadoop-based cluster will need one Head node and one or more compute nodes. “During the preview period, the head node is available as an Extra Large instance at $0.48 per hour per cluster, and the compute node is available as a Large instance at $0.24 per hour per instance,” Microsoft wrote. In additon, Azure also added today support to enable HTML5/JS Client (CORS) clients, PhoneGap apps, Windows Phone 7.5 clients, as well as .NET Portable Library support to use Windows Azure Mobile Services as a backend. In addition to already existing TFS, CodePlex, Git and GitHub source control provider support–Mercurial Source Control Support added today–now lets you use Mercurial (Hg) repositories when setting up continuous deployment of your Websites from your CodePlex or Bitbucket repositories. Dropbox deployment support, making website deployment as easy as copying files to a folder on a local computer. 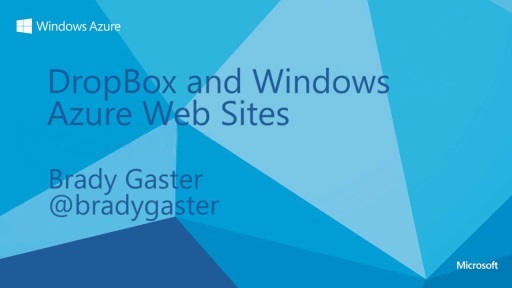 “To enable this from the Windows Azure management portal, click the “Set up deployment from source control” link on your Web site dashboard, choose Dropbox and authorize the connection, and then choose a Dropbox sub-folder to synchronize. You can then simply copy your source files to the Dropbox sub-folder on your local computer and press the “Sync” button in the Windows Azure Portal to deploy the files. 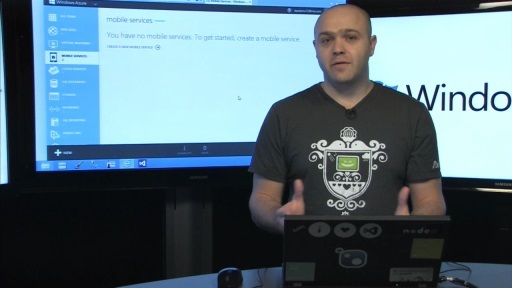 Windows Azure will automatically build sources as needed, similar to Git or TFS based deployments,” Microsoft explains. Also, the deployment history tab in the portal will keep track of your deployments and enables you to re-deploy any previous deployment with the click of a button. In addition to the new setup wizard for source control deployment, Azure also includes some enhancements to the source control UI. Also, it’s now possible to disconnect from an already connected source provider on a web-site in order to set up a different one (previously you had to delete the site to do this). It’s also now possible to renew the certificate used by Team Foundation Service for continuous deployment directly from the Azure management portal. “Click the “Renew TFS certificate” link on either the Dashboard or Quick Start page,” the company adds. Support for Regenerating the Publish Profile right from the Web Sites dashboard. 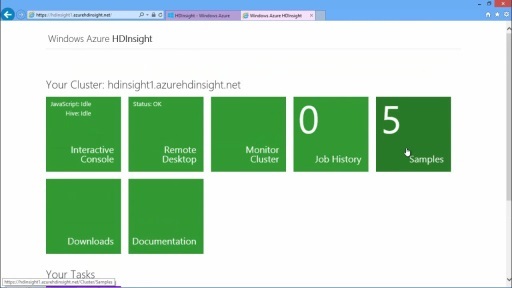 Customer can get start with Windows Azure HDInsight Service here. Update 03/24: In this introduction to Windows Azure HDInsight Service–you will get to know about Big Data, Hadoop, and new Hadoop-based HDInsight serive. 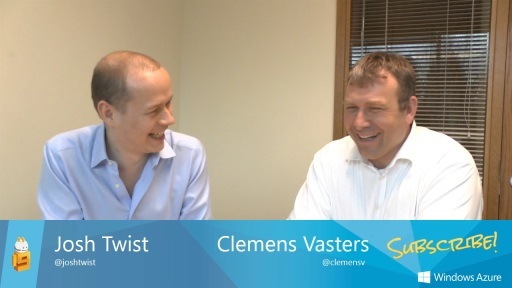 Creating your first HDInsight cluster and run samples video walks you through the simple steps of signing up for HDInsight preview, creating your first cluster, and running two Map Reduce samples. Note: If you are trying the HDInsight service yourself, please make sure you shutdown the cluster when you no longer need it. “1Track–Bellevue, Wash. enhances the consumer in-store shopping experience and drives sales for retailers. Airpost.io–Toronto. unifies cloud storage services to allow people to access files from anywhere. 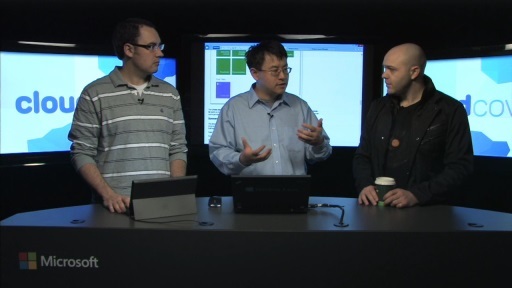 Azuqua–Bellevue, Wash. helps companies build integrated cloud-based enterprise apps in ten minutes or less. Beehive Biometrics–Austin, Texas. is a service that enables developers to incorporate biometric matching into apps with a single line of code. Boxella–Redmond, Wash. helps retailers sell add-on products through an app that tracks individual customer inventory. Builders Cloud–Bellevue, Wash. is a file-sharing and mobile collaboration platform for the construction industry. Factor.io–Portland, Ore. makes it easy for engineering teams to build their continuous integration and deployment pipeline. GiftGiv–Redmond, Wash. makes business gifting simple while retaining the personal touch. nuMVC–Denver. is a content distribution platform that automates delivery of relevant content anywhere on the web. ScanMyList–Everett, Wash. is a mobile app empowering businesses to efficiently utilize BI from sales and order information,” informs Microsoft.